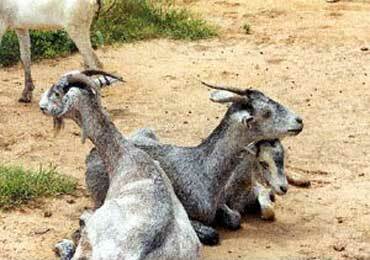 Jining Grey Goats also are used for cashmere. The production from the males will range from 50-150 g with cashmere fiber being 18-30 percent of the total fleece. Production in the females is lower, ranging from 25-50 g and cashmere comprising 16-20 percent of the fleece. The fiber diameter in both genders averages 13.0 microns.